The Senva Energy Gateway is a pre-assembled energy meter, data logger, and power supply. 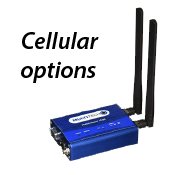 Connect to a LAN and push or pull data via HTTPS, XML or FTP, optional 4G LTE cellular modem expands ease of deployment. This plug-and-play solution supports the Senva EM-PULSE or EM-RS485 meter and Current/Voltage TransducerTM (CVTTM). 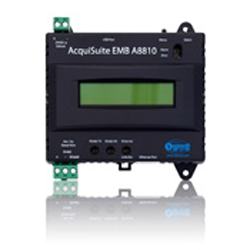 Pre-configured with the Obvius AcquiLite A7810 or AcquiSuite A8810 Data Acquisition Server, the Energy Gateway will collect and log metering data. Additional analog devices can be connected using optional expansion modules. Flexible integration with BACnet/IP network allows logging of downstream Modbus devices to be available as BACnet points in automation systems. This group contains no products.